Saturday afternoon – yet another beautiful day during the first ever Spring Olympics! â€“ found us back at Holland Park. This time we went to see the Kee-Gigg K9 Agility Team. I shot this rough video to share the experience with you, my readers. These dogs (and their owners) were definitely having fun! 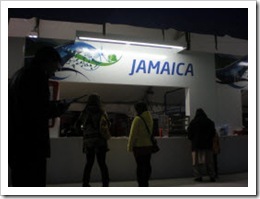 We then grabbed a quick bite at the Jamaican food booth; Jamaican patties are flat meat pies with a spicy kick! Good though. 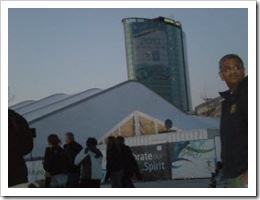 We headed home before the expected 20,000 arrived for the evening concert. Iâ€™m impressed with our small park in Whalley! Gold Goes to Surrey and Holland Park! What is Your Olympic Soundtrack? 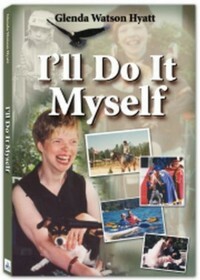 Do It Myself Blog – Glenda Watson Hyatt » Gold Goes to Surrey and Holland Park! Wheeeeeeeeeeeeeee! I love these pictures and videos, it’s like a little bit of Canada right in my boiling hot Aussie lounge room … who says the world isn’t small? Loved the agility dogs in the video lots – especially cool that they were obviously having a ball and there were so many different types and ability levels. Olympics is sometimes all “perfect perfect perfect” and it was nice to see something that was more … “real” isn’t the right word, but I guess you know what I mean. Do you know you can upload YouTube videos with a setting that lets other people add/edit the closed captions for you? At least I think you can – never uploaded a video yet, but I’ve seen other videos with the ability turned on. Ricky, I’m glad you’re enjoying these pictures and videos. I shot this one with you in mind. And yes, both the dogs and the humans were having a blast! I think there’s too much pressure on the athletes to succeed. I’ve seen a few interviews with Canadian athletes in tears for letting down their country. Heartbreaking. What happened to enjoying the experience?